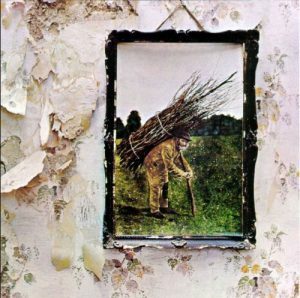 The fourth Led Zeppelin album isn’t quite my favorite Led Zeppelin album, but pound-for-pound it’s probably their best. Which is why it was so hard to figure out which songs to write about: pretty much everything here is as great as Zeppelin — and therefore rock and roll — ever got. So the only song that I was going to for sure write about was “When The Levee Breaks” (tomorrow!) and the only I was for sure going to skip was “Going To California” (I already live here), but as for the others go, it could have been any combination of the other six songs. So just because I didn’t get to “Black Dog,” “Battle of Evermore” or “Misty Mountain Hop” doesn’t mean that they weren’t under heavy consideration. Because that’s just how ridiculous this record is.